There is no such thing as a Grail when it comes to collecting watches. As soon as you think you’ve found one, the next Grail is arising. 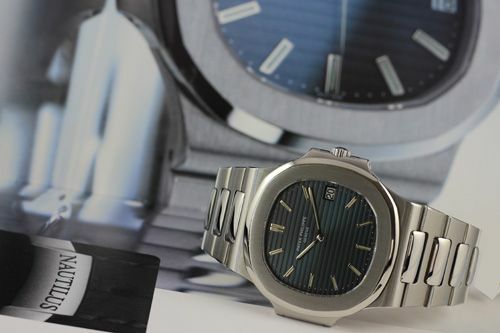 However, the Patek Philippe Nautilus is the Grail for many watch enthusiasts out there, especially those with a weak spot for Gerald Genta designs. 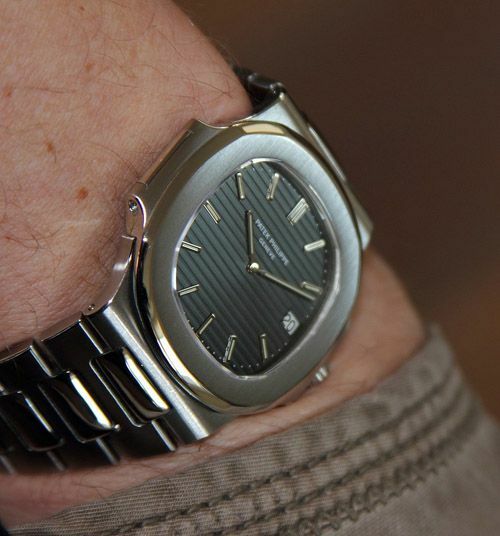 One of our readers belongs to that category, and showed us his Patek Philipe Nautilus 3700/1A. After having his share of OMEGA, Rolex and Audemars Piguet watches, it seems that this stainless steel piece de resistance gives him inner peace with his watch collection. He’d like to share some of the pictures of his 1977 Nautilus 3700/1A with the readers of Fratellowatches. In the past, we’ve written an in-dept article about the Nautilus 5711/1A (in combination with the Audemars Piguet Royal Oak ‘Jumbo’) and it might be a good idea to read it when you want to learn more about the history of the Nautilus ‘Jumbo’ and Gerald Genta in general. Click here to read it. We love the Nautilus for a lot of reasons, reasons that are completely irrelevant to those who dislike the Nautilus, Royal Oak, Ingenieur and similar designed watches. Do we like the Patek Philippe ref.3700/1A better than the modern version that was [re]introduced in 2006, the ref.5711/1A? Until we handled this 1977 Nautilus, we did not have a strong opinion about this. After fiddling around with this vintage model and looking back at our previous experience with the Nautilus 5711/1A, we come to the conclusion that there are a few differences that makes us favoring the 3700/1A over the 5711/1A model. First of all, the lack of a second hand on the vintage Nautilus 3700 model gives a more clean and ‘zen’ look over the current production model with a centralized second hand. This is something that Audemars Piguet perfectly understood when they decided to bring back some live in the original Royal Oak ‘Jumbo’ ref.5402 and still does with the current Royal Oak 15202ST Jumbo. Another reason for us to prefer the 3700/1A is the wording on the dial. The current model uses a more modern typography and we just prefer the old one. Then with regards to the automatic movement in this watch, the caliber 28-255C. This movement was later on replaced with Patek Philippe’s own caliber 324 SC, but the original movement was the one designed by Jaeger-LeCoultre (caliber 920) and AP is the only one that still uses it in their Royal Oak ‘Jumbo’. We have a slight preference for the caliber 28-255C (or AP caliber 2121) movement over the later 324 SC movement, just because of the fact it is slightly thinner due to its rail system for the rotor. As you can read, we are really getting nerdy here. 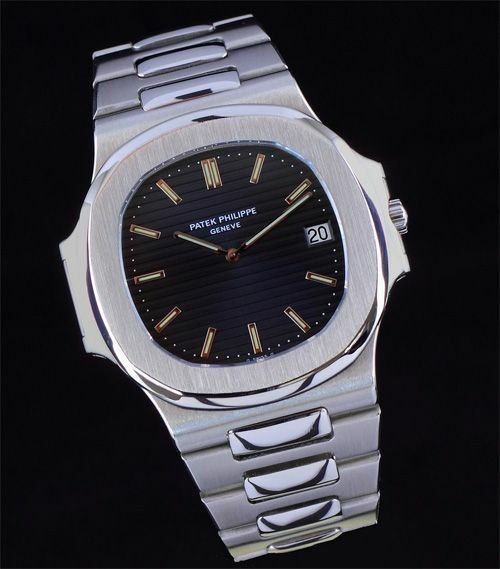 We would be more than happy to own a Patek Philippe Nautilus 5711/1A, but if you do some searching you will notice you can just choose between both references for the same kind of money. In that case, our preference would be a vintage 1970s or early 1980s Nautilus 3700/1A. With regards to the specifications for this watch, the case consists of two parts, having both a polished and brushed (satin) finish. Four screws through the shoulders of the watch connect the two watch parts to each other. The PP Nautilus 3700/1A measures 42mm [crown guards] x 44mm [lugs] and is only 7.5mm in height. 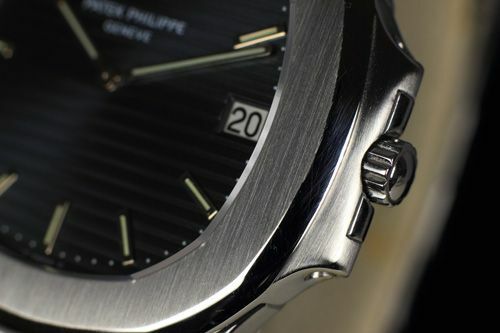 More information about Patek Philippe can be found on their brand new re-designed website www.patek.com.